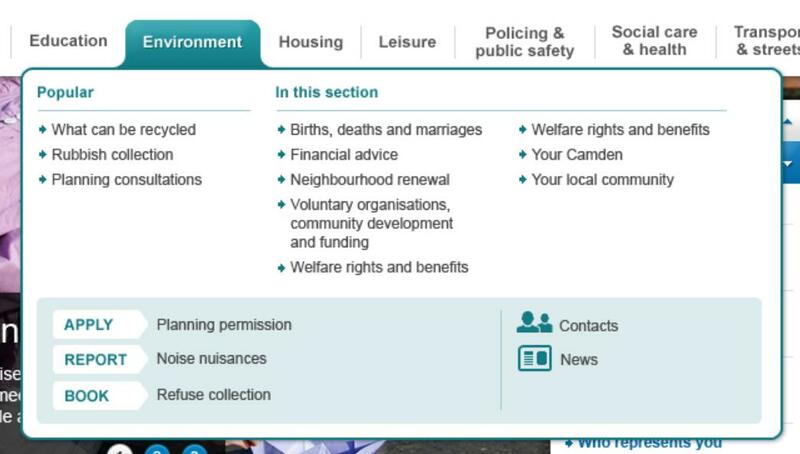 For the past few months, I’ve been working part of Camden’s webteam in redesigning the new website. The first stage of this project, which is the design (look and feel) of the website is due to launch end of July/early August. If you’re interested to know the other stages of this project, visit my earlier blog post about it here. We have been blogging about the progress of this project as we’ve been going along at our Camden Website Redesign Project Blog. Since the launch is near, we are showing customers how the new website will look like and creating videos to show them how to use the new features of the website. Like the ones you find below. There will be a lot of improvements to how the website will work from a design and usability point of view. You will be able to find what you are looking for much quicker and identify transactions more easily. 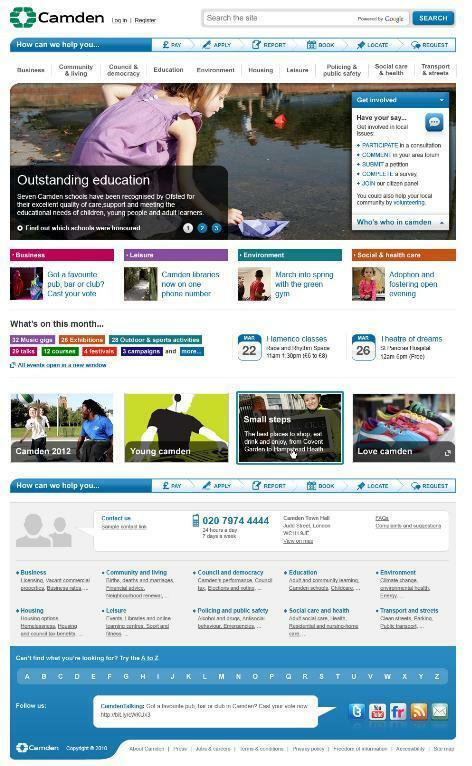 Here is a snapshot of the homepage of the new website. *These images are thumbnails, please click to view larger image. 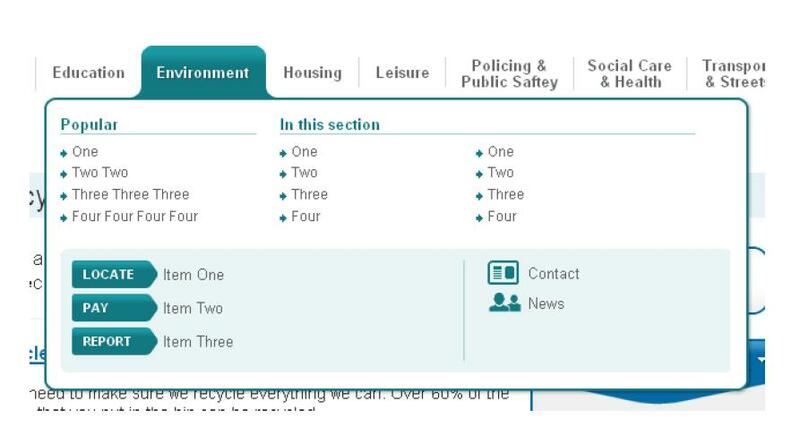 An action navigation bar that will provide easy access to services across the website. A new action panel that will be available on all lower pages for easy access to transactions such as Pay, Apply, Report, Book, Locate and Request. You can see an example of the sequence of action when you use this action panel below. A new A to Z will be available on the homepage as well as all other pages for easy navigation. 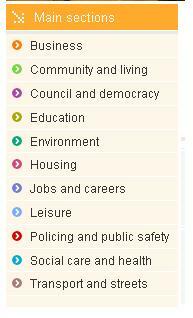 This is how the search is currently displayed on the website. The new footer will also help users navigate the new website better. 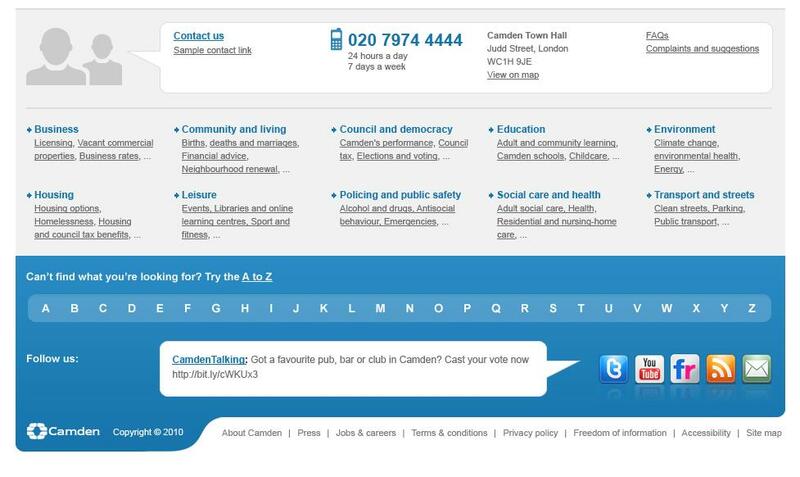 The website will also display Camden council’s social media links. A more detailed description of all these features will be following soon. Want to to find out more about the development of the new website? Browse Camden Website Redesign Project Blog.